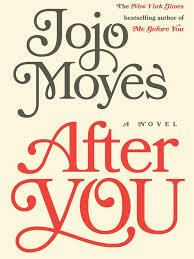 After You by Jo Jo Moyes. The heroine of Me Before You picks up the pieces. Thirteen ways of Looking by Colum McCann. The last day in the life of an ailing New York judge leads to reckonings. Pretending to Dance by Diane Chamberlain. A drama about degenerative illness, loss and resolution. The Secret Chord by Geraldine Brooks. A novel on the life of King David of biblical fame.